I can count on two fingers the amount of times I’ve been to Blackpool, both ended in tears. Once in 1977 at a Dr Who exhibition, I ran out screaming in sheer terror at the Dalek’s battle-cry of “Exterminate!” and my sister lost her doggy eared purse full of her birthday money on the pier (don’t judge us too badly, we were only 6). The second time was more recent on a swift overnight stop, we visited the Sea Life Centre where my wife cried when a stingray popped up and smiled, apparently she thought its face was scary. That paled in comparison to the thought of her riding the terrifying “The Big One” and I don’t mean me on a dirty weekend in a dirty hotel. So I guess its not looking good for Blackpool. A view on Tripadvisor suggested that some of the B&Bs were more than a little run down and could be improved by burning in the ashes of nuclear fire. If we listen to the news, thanks to a Trump and Kim Jong Un breakdown, we soon might be in the ashes of nuclear fire. In the end, Mrs C insisted on chain hotel and that she was worth more than the £22 it would have cost to stop at “The Hangover Hotel” and instantly nullifying the idea of a cheap night out or a dirty hotel. I disagreed about the £22, I thought it was still way better than any Air Force accommodation I had previously stopped in. Sacrifices must be made and she was informed that drinks must now be purchased and consumed in the human zoo that is Wetherspoons, or if she prefers, she could slug straight from a can of Carling Black Label from Bargain Booze (we almost have an account) and then be sick on the seafront. 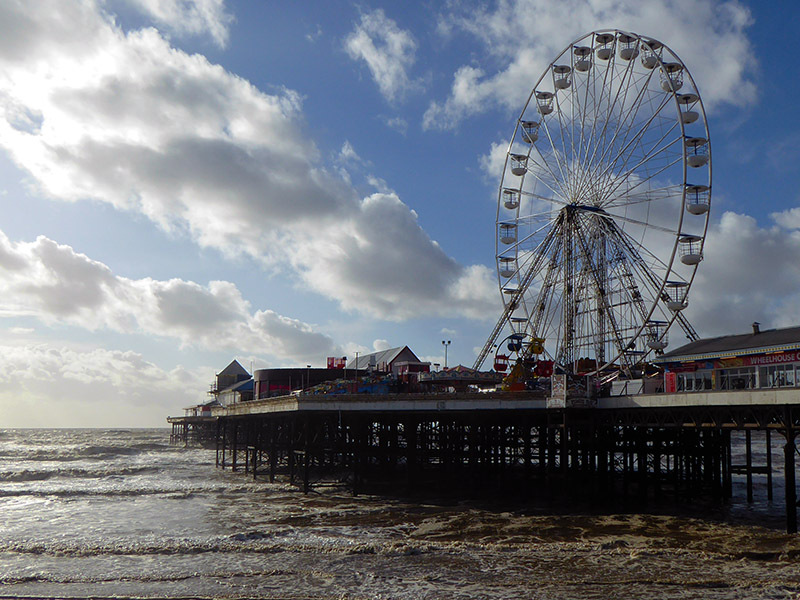 The sea, sand, sound, sights and lights (OK, and smells) of Blackpool await us. Blackpool is Britain’s most famous seaside resort, some say it’s also the last resort, a never ending expanse of tacky tourist tat. Standing at the edge and staring over the Irish Sea, only a few months ago we were on the opposite side in Dublin, which really does mean Black Pool in old Irish, and now I’m wondering what happened to to the Van Life I wanted and what I’ve done to deserve to be here. Might as well change my Kiss Me Quick hat for a kill me now tee shirt. 5 years after the Eiffel Tower, Blackpool built its own tower, a smaller budget version in desperate need of a lick of paint. In fact it actually looks like its been in the ashes of nuclear fire. It costs a fortune to go up, we didn’t bother, we didn’t need to view how bad the town looks from above when we can see how perfectly bad it is at ground level. If you want to see how bad it is, or to see if they can possibly cram in anymore arcade machines, why not take a carriage ride on the seafront in a giant Christmas bauble, which is fine if you want to look like the bride in my big fat gypsy wedding. The Golden Mile is anything but a mile with 3 piers its actually just under 3 miles. The sand is actually quite golden but the depressing weather pattern of a UK summer does its best dampen your spirit with deadly storm surges and sea swell that closed the beach and 2 of the 3 piers, not the one I nearly put my foot through though. Only a Man-of-war, the ship or the jelly kind, could have made the beaches any more deadlier, but at least it stops the shagging in the sand or the blind fumbles in the dark that you usually have to navigate when treading on a beach where there’s booze, blokes, bints and rose tinted aviators. The Comedy Carpet is anything but, it’s certainly nor carpet like, even drunk tramps have given it a miss, not something you’d want your dog to lay on. The comedy carpet cost £2.6 million to install, that was before the council relayed it as they thought it was too close to the tram tracks. Someone must have been having a laugh. I’d have done it for a round million. Adorned with comedic phrases and gags, there’s nothing quite like a British sense of humour, so it comes as a surprise that the biggest British joke of all time, Brexit, isn’t even mentioned. Don’t even get me started on The Pleasure Beach, I find nothing pleasurable in paying 30 hard earned quid or 6 quid just to walk around it. I’d felt like I’d have my pants pulled down. Why pay that when the government already already pulls my pants down every time I fill up my car. Quite how the jet-set old fogie elite spend their week at a time at Blackpool resort is beyond me, unless this really is their last resort, god only knows. 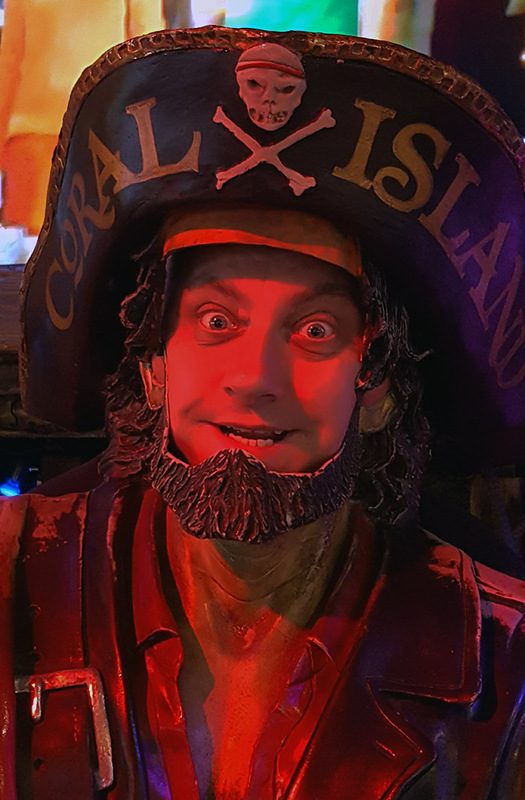 You may think I’ve been particularly harsh on Blackpool but believe me that’s nothing compared to the wrath I save for the sight that is Skegvegas, or Skegness for those who have never been. 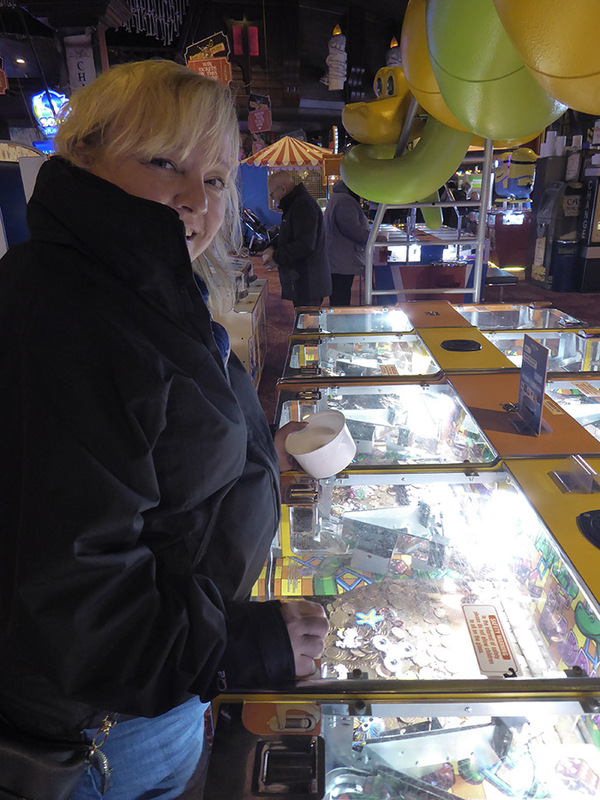 We’ve actually quite enjoyed Blackpool, maybe even had to much pleasure at Pat’s 10p Prize Bingo or shoved too many 2p pieces in the pushers at Coral Island. 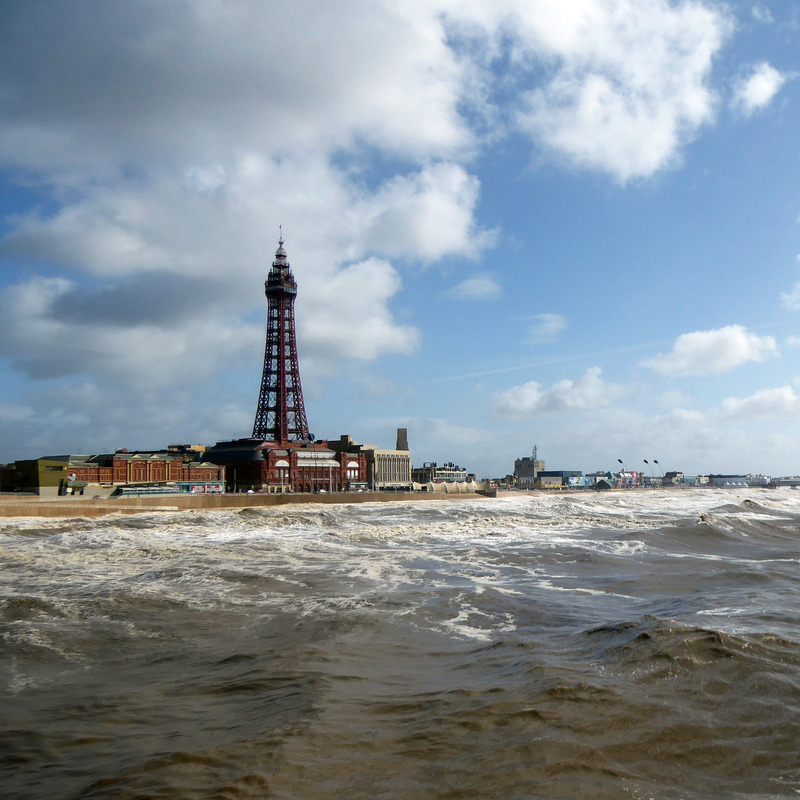 Not so sure about Blackpool being the last resort but we can see why it’s one of Britain’s favourite resorts. PS if you find my sisters doggy eared purse, please let me know, she’d be delighted. Especially if you didn’t spend the money on smack/glue/hookers/coke, although I suspect the rate of inflation from 1977 may not get you much these days (allegedly). My first ever trip to Blackpool was for my step son’s football tournament in 2009. I have friends from school who swear by the place, but I wasn’t so sure. My son loved it, though.